Istanbul showed its best side after weeks of continuous heavy rain and snowfall. 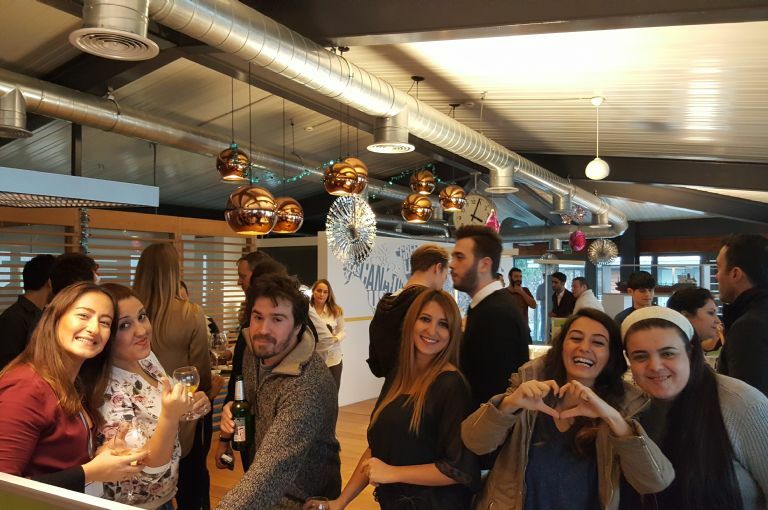 On January 23rd the launching of our 9th new building, the Atlantis Augusta took place. The construction was as smooth and as precise as never before at Selay Shipyard. We would like to extend our gratitude to Selay Shipyard and their contractors who put in a huge amount of effort to make this moment happen. Furthermore we would like to thank our subcontractors like class Bureau Veritas, designers Delta Marine, Akzo Nobel and MarineLine, and last but not least Armona’s experienced construction and office team - who build ships with sheer enthusiasm and passion. Well done again, and we look forward to launching the Atlantis Alicante very soon! 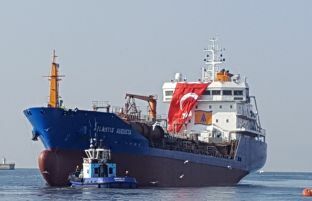 The 5850 dwt Atlantis Augusta is launched into the Marmara Sea. The 6240 dwt MT Rekon built 2013 at Selay Shipyard will join Atlantis Tankers’ fleet. The vessel is owned by two partners: German national Seyfullah Inan and Turkish national Metin Çağdaş and is their company’s only ship. They have agreed to give their chemical tanker into our full management services, including the management of their investments and company. Before joining Atlantis, MT Rekon was under bareboat charter for 3 years with Navoil in Singapore, which went into liquidation in November 2016. “The vessel fits perfectly into the Atlantis Tankers fleet portfolio” Lorenz Weinstabl stated during an internal meeting for the coordination of works to be done, signing the contract on the 20.01.2017. The MarineLine coated tanker is making its way back from the Far East to the Mediterranean. After inspection and repairs, the Maltese flagged vessel will begin trading. 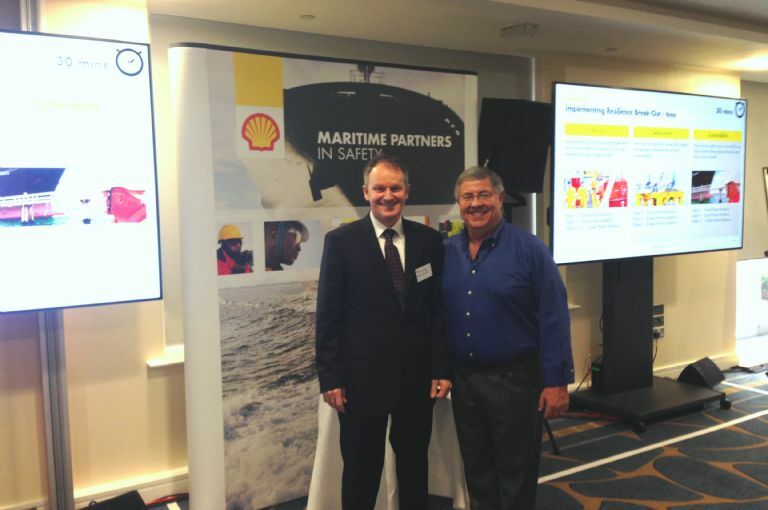 It will neither be quick nor will it be easy, however as “Maritime Partners in Safety” at SHELL we from the Atlantis Tankers’ management arm ARMONA are at dawn of a new era. After a year that confounded the expectations of the gloomiest professional optimists, and despite the glib forecasts of a brighter future for our shipping business, we have mastered to conquer a sequence of milestones many would have believed were out of reach. Well done to SHELL and the drivers of the Focus Group! 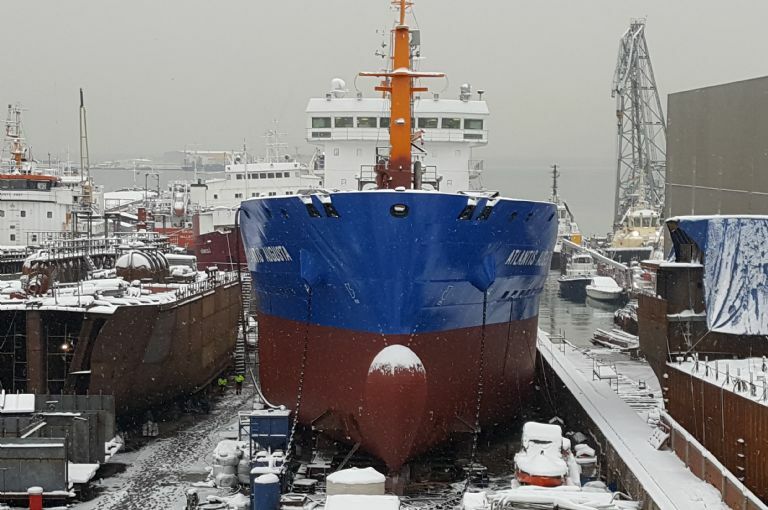 The Selay Shipyard built 5800 dwt Chemical tanker Atlantis Augusta's launching has been delayed due to the weather conditions in Istanbul. The tanker is expected to launch within 2 weeks. Painting of all ballast tanks has been completed in addition to all cargo tanks have been coated with bi modular epoxy coating of Marine Line. The main deck and forecastle have been zinc rich epoxy painted and overcoated by epoxy universal primer. Flatbottom coat layers are completed up to antifouling, the Boottop and Sidebottom are currently cleaned and have already been painted with universal epoxy primer. The plan is to take the Augusta on seatrial on about February 5th, 2017. As per today, the investment completion lays at 96%. 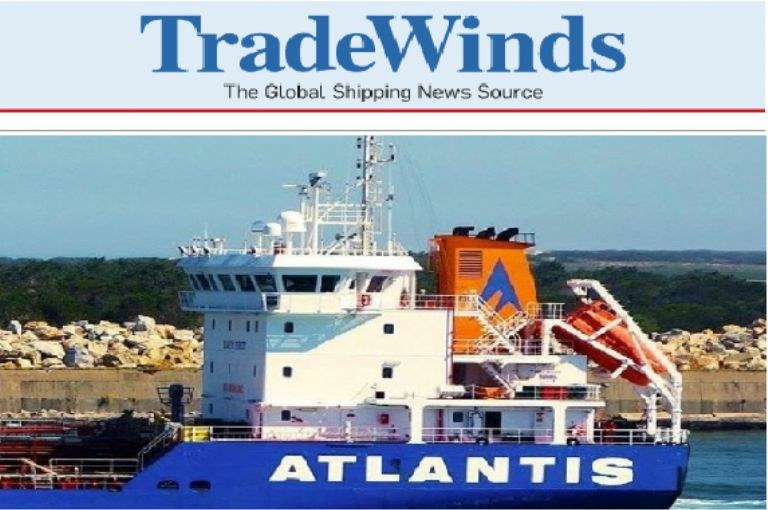 Atlantis Tankers has purchased two small-sized chemical tankers from the Greek-owned Restis Company. The Ionian Trader and Lydian Trader. Both are sister-ships in the size of 5500 dwt, with Marine-Line tank-coatings and built in 2008. The vessels were built by Turkish KGS, a joint venture (JV) between Ares Tankers and Galatasaray Holding at Celik Tekne Shipyard with the intention of selling all six of the sister-ships to another 50-50 JV between Mowinckels and Ares. After delivering the first four vessels: Lycian, Ionian, Lydian and Hada, Mowinckels’ appetite for the remaining two became obsolete due to the Lehmann-crisis. Thus the fifth and sixth ship remained with KGS and are managed by Ares Tankers Management as RC Behar and Hitra. The four joint venture ships were financed by a consortium of Nordea and Deutsche Bank. The JV ran into financial problems which brought the Norwegian/Turkish partnership to separate, leaving the ships with Mowinckels Rederi. The lenders sought new buyers and sold all four vessels in 2012. The first chem-tank duo was sold to Borealis Maritime, the ships were renamed Bomar Pluto and Bomar Ceres. 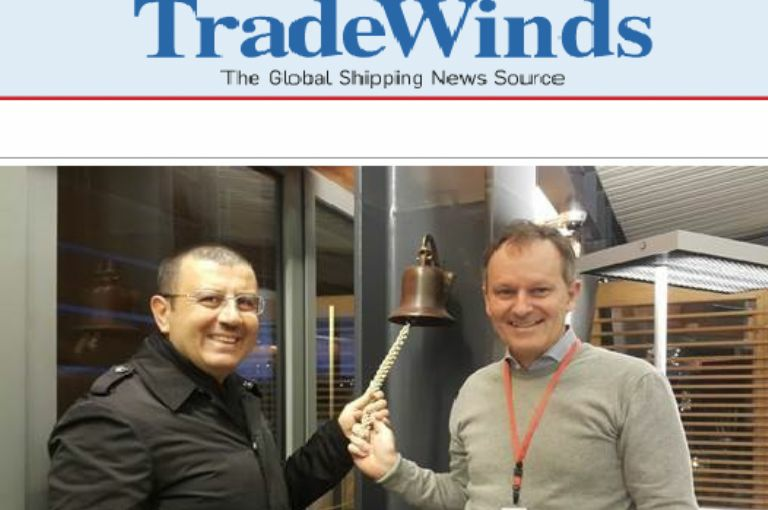 The other two, Lydian and Ionian were sold to Restis’ company: Enterprises Shipping & Trading. 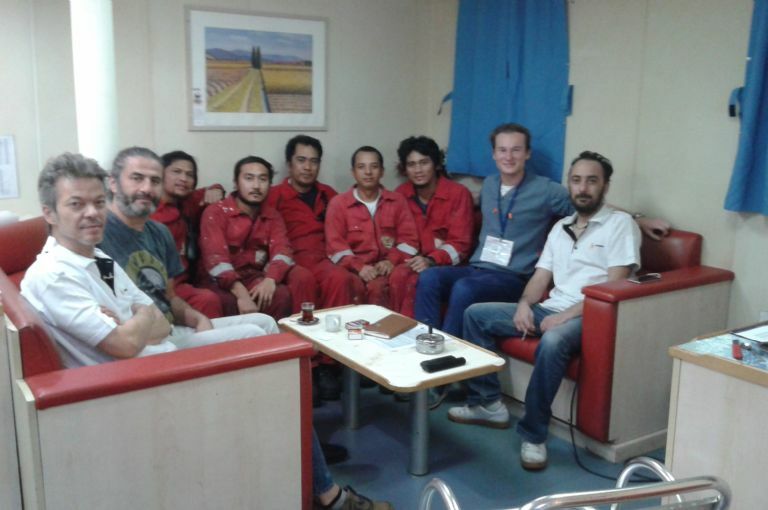 Bomar Pluto and Bomar Ceres were under the technical management of Armona Denizcilik (the management arm of Atlantis Tankers) for 3 years. The ship and shore staff are very familiar with the vessels and know the quality of the design. The tankers meet the high quality standards of Atlantis Tankers. Currently the Ionian and Lydian Trader are on T/C to Uni-Chartering. The handover of the vessels is expected to take place in the next 45 days to one safe berth in the ARA; free of cargo and free of slops. The duo will be taken under the technical & crewing management of Armona Denizcilik, and will be commercially managed by Atlantis Tankers. The Ionian Trader will be renamed: Atlantis Arki, and the Lydian Trader will be renamed: Atlantis Araceli. Lastly, the two new-buildings: Atlantis Augusta and Atlantis Alicante will be delivered by early 2017. Consequently, the German-owned company will experience a fleet-growth of 50%. The fleet is not only expanding, it is also becoming younger, as the average fleet age will fall from 10.25 to 8.33 years by next year.